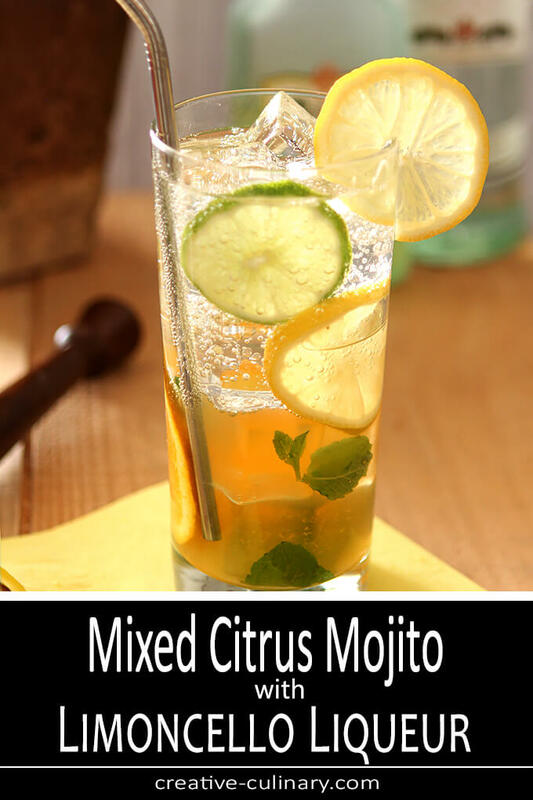 I love modifying favorite cocktails to use seasonal ingredients and this Mixed Citrus Mojito with Limoncello is a perfect example. 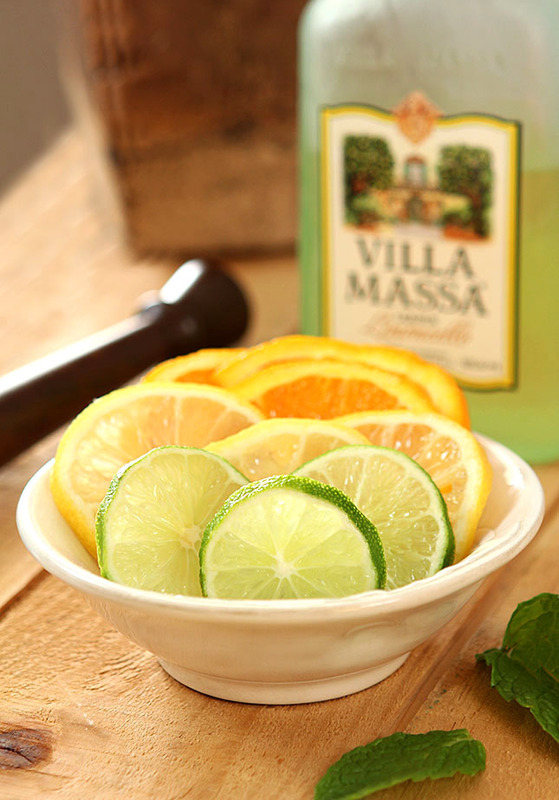 Flavored with lemon, lime and orange along with a touch of Limoncello; it’s the perfect citrus beverage that you can drink all year! I say I don’t mind the seasons in Colorado but that’s really a bit of a stretch. I LOVE spring through fall; the low humidity and typically pleasant temps make for comfortable days and cool nights in this land at the foot of the Rocky Mountains. But winter is another story. I will suffer through winter to have the glorious days of summer with dinner on the patio but each year it gets harder. The period through the holidays hold such promise of friends, family and good food not to mention the sparkle of the Christmas season that I embrace the cold and the snow but once they’re over? I’m done. Except this year. This year we have had one-third of our typical snowfall and I’m missing it. If I’m honest it’s partly because I put in a whole bunch of new perennials in the fall and they could use some moisture. But I think it’s more than that. I miss the fun we have on our street when there is a big snow; how everyone joins together to clear the sidewalks and driveways and always with the anticipation of some cookies and hot chocolate when we’re done (of course that’s my job!). The forecast is for several inches tomorrow and I’m excited. Maybe I’ll stop complaining about how much longer it takes to put away holiday decor than put it up (almost there but seriously…I have way too much stuff!) and just anticipate the advent of real winter. I admit a tinge of guilt while watching parts of the country where people are dealing with massive amounts of snow and bitter cold and we’re having 50-60 degree temps this week. Not to worry though, Colorado is known for unpredictable weather; we could have a blizzard tomorrow. No, I am not kidding! So while many muddle through the cold and snow and ice; I thought it might be nice to muddle something else too. It’s also the season of Florida citrus and I admit for that reason I can find some winter joy. I love them all, the fundamental lemons and limes, the excitement of blood oranges and even the juxtaposition of super tart with crunchy, slightly caramelized sweetness when I broil grapefruit with brown sugar on top. From salad dressings to sauces to dessert; I find ways to use these gorgeous fruits that are so abundant and varied this time of year. This Mixed Citrus Mojito with Limoncello does that times three. Oranges, lemons and limes are what I had available when I made this cocktail but I would absolutely mix them up depending on what you have. Blood oranges would be outstanding wouldn’t they? A lovely, light and super refreshing cocktails that is good year round. Try switching up the citrus too; blood oranges are beautiful when in season! 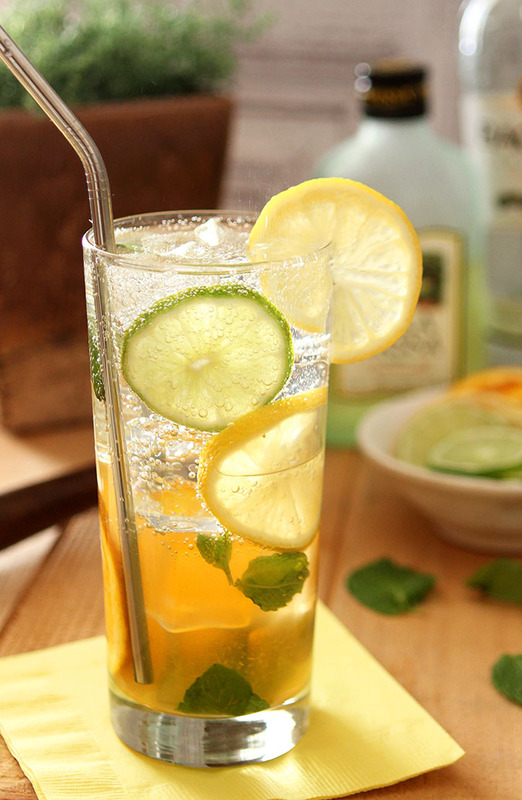 In a tall glass, muddle the mint leaves with the citrus slices, lime juice, simple syrup and Limoncello. Top with ice and add the soda water. 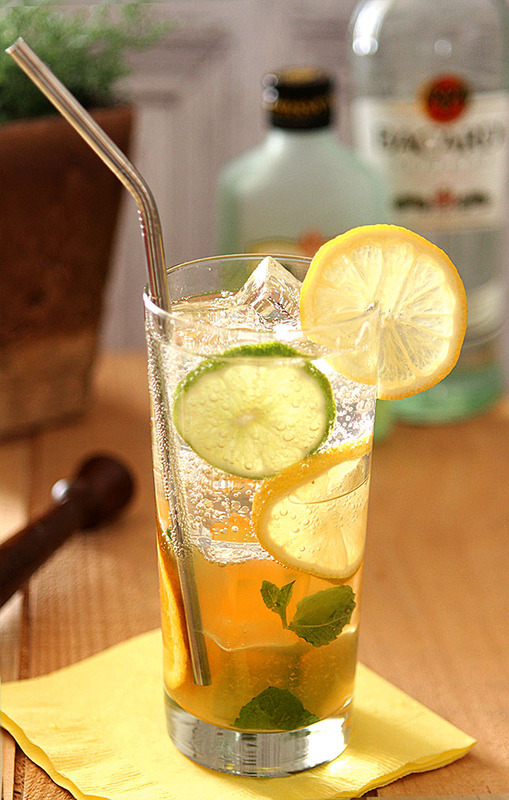 Stir well to combine the flavors, garnish with lemon slice and pretend you're by the beach! Switch up your citrus; try grapefruit, blood oranges, and more depending on the season. Thanks Tamara…it is! I used some blood oranges this past weekend and made it for a brunch; it was beautiful too. Software is imperfect, what can I say? It’s now available. This looks SO refreshing! Lovely drink for sitting indoors and watching the wintry weather. 🙂 Love citrus drinks, and this is a goodie — thanks! I’m a G & T girl, but I think I will give this a try. Looks so refreshing! I hope you do…and it is!